This is the DX version of the TU-8200. It contains both the Elekit 8200, and the DX capacitor upgrade. The descendant to to the wildly acclaimed TU-879S, the new Elekit TU-8200DX is now available. 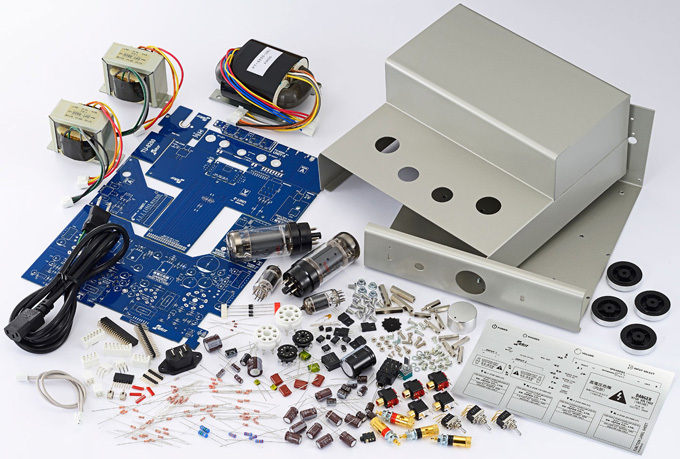 The renowned Elekit designer, Mr. Fujita, has gone back to the drawing board to design a superior tube amplifier kit. The TU-8200DX has many enhancements that allow the builder to enjoy exquisite tube audio in just a few nights. The TU-8200DX ships with Electro Harmonix 6L6GC power tubes, but also supports a wide range of other power tubes such as KT66, KT88, EL34, 6550 (and others) with no modifications and no need to re-bias. 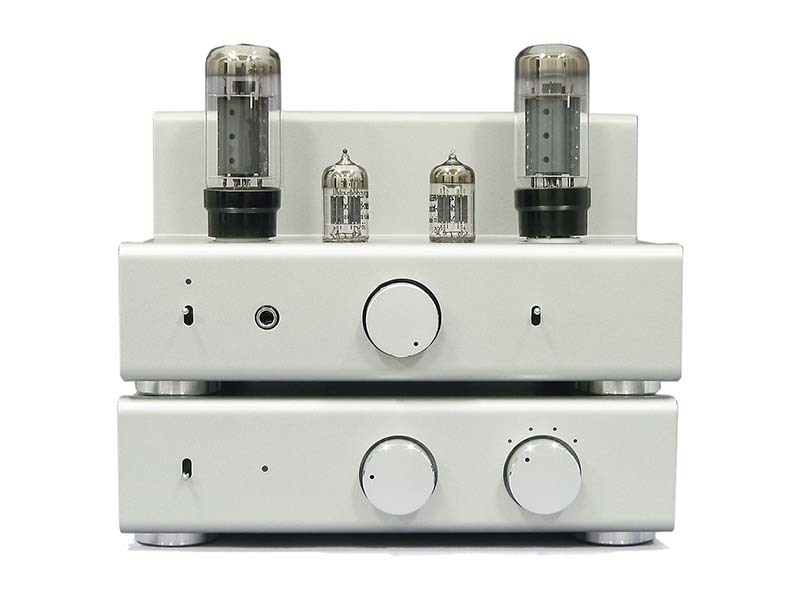 Simply swap power tubes and the newly developed "active automatic bias adjustment function" will adjust the bias to the optimal level for each tube. 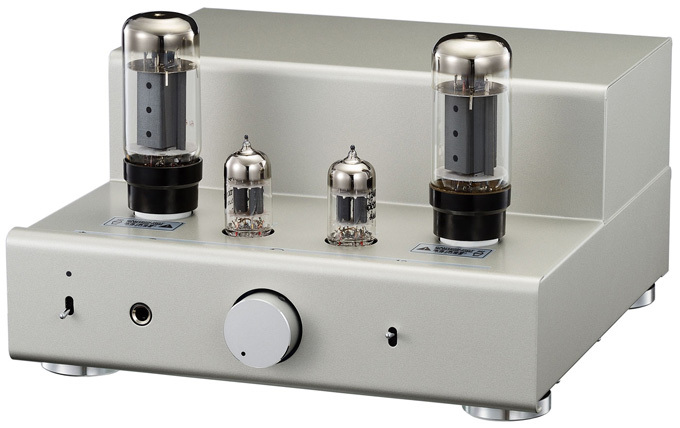 No need to match tubes or manually re-bias ever again. For those who love headphone music, you are in for a treat. The TU-8200DX has a built-in headphone jack that will deliver amazing tube audio to your favorite cans. TU-8200DX ships with a R-core power transformer that supports 4 different voltage environments 100V, 115V, 200V, and 230V. This kit is ready to be built and used in any part of the world with no problems. 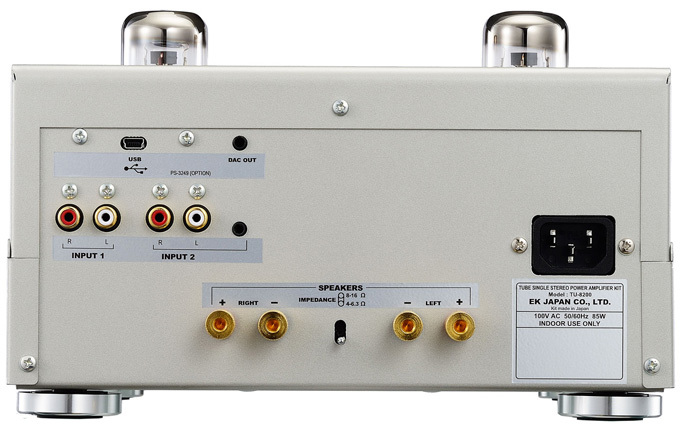 Below shows the TU-8200DX with its accompanying TU-8500 preamplifier kit. It took me about 8 hours to complete. This little gem trades punches with my Primaluna Prologue 5 everywhere except raw power (PP vs SE). Replaceing all small resistors with Takman REY and REX Series 0.5 watt and 1watt for the 27k ohm and Amtrans AMCH 3300pF 100vdc for C17 and C18 made it even better. I find myself using this more often that my much more expensive amp. Next thing on the list is replacing the headphones resistors with Amtrans AMRG 15 Ohm 2 watt. It only took about 8 hours to assemble the kit, great instructions though the English version is printed on 11 1/2 x 8 inch paper and needs to be on A4, so I used a pdf version on my computer to see the bottom of each page. It worked when I first turned it on and I'm still letting it break in, but the sound so far is quite nice. I have just received the kit for the ele8200DX. I went through the parts list and it is complete. The Directions supplied are very detailed and should be very easy to follow. Even for me a complete neophyte in electronics. I bought a small practice soldering kit that will enhance my soldering skill which will improve my proficiency.
. I am confident that I can build this kit. If I can do it so can you. This is a nice amp right out of the box but with a few added parts it's a great amp. I originally installed the 8200DX Capacitor Upgrade kit, but I was not completely satisfied with the sound. So I replaced the four Amstrans AMCO 104 Metalized PET film capacitors from the DX Cap kit with four Sprague Orange Drop Polypropylene Capacitor 716 Series .100µF / 600V (Part number: CP-OD716-100-600V) and left the Sanyo OS-CON organic capacitors from the DX upgrade kit installed. I was pleasantly surprised with a clearer less muffled sound with the orange drop caps. I replaced the 9 pin tube sockets with ceramic sockets (Part number: SK-9PINPC) simply for better heat resistance over the stock sockets. I took it a step further and added a couple of 9 pin socket savers (Part number: SK-9SVR) to lift the 12AU7 Tubes up and the amp runs even cooler now.